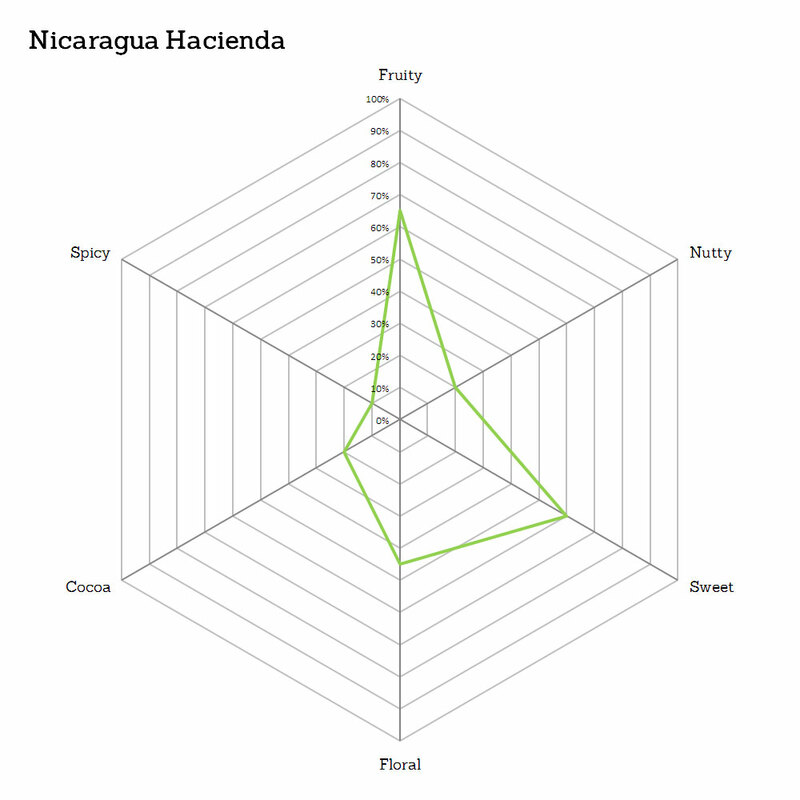 Nicaragua Hacienda Sajonia single origin can be traced all the way back to a single farm in El Diablo, Nicaragua. 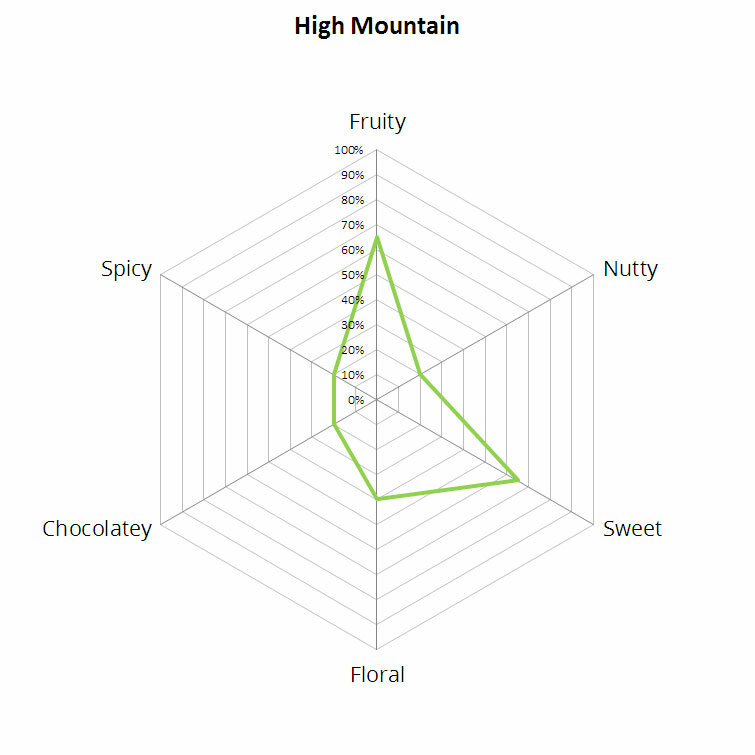 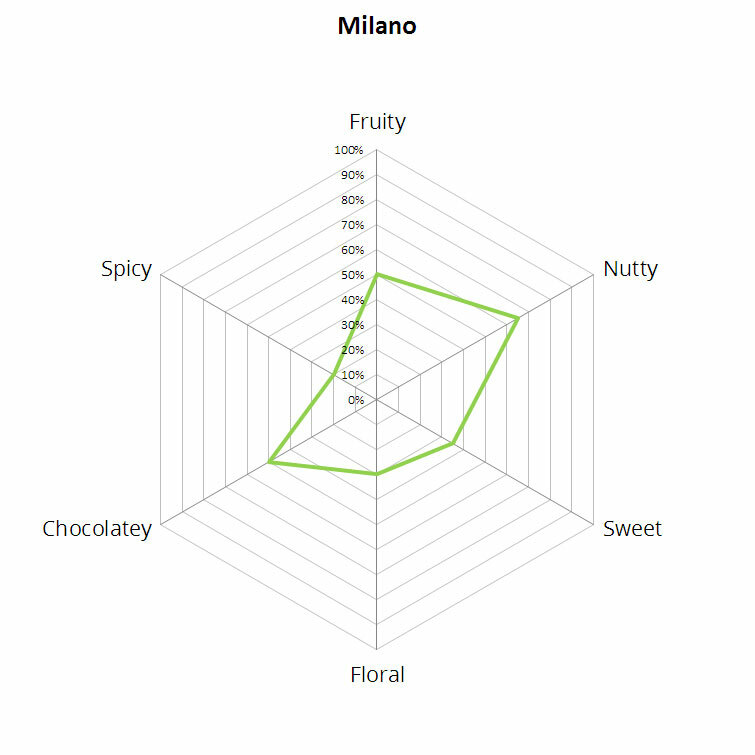 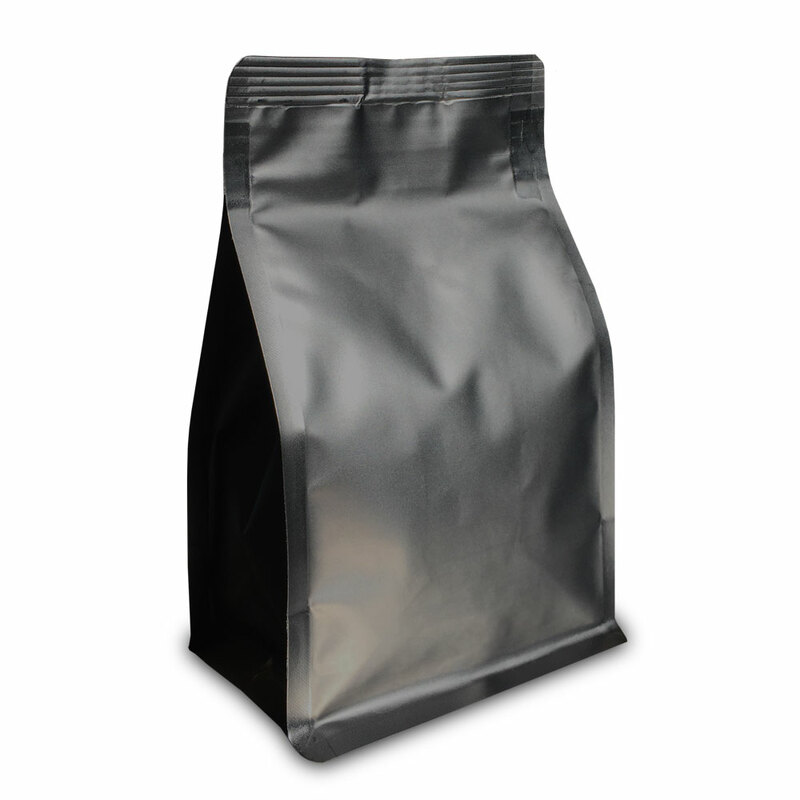 The coffee is a smooth light coffee with medium acidity and sweet berry fruit flavours. 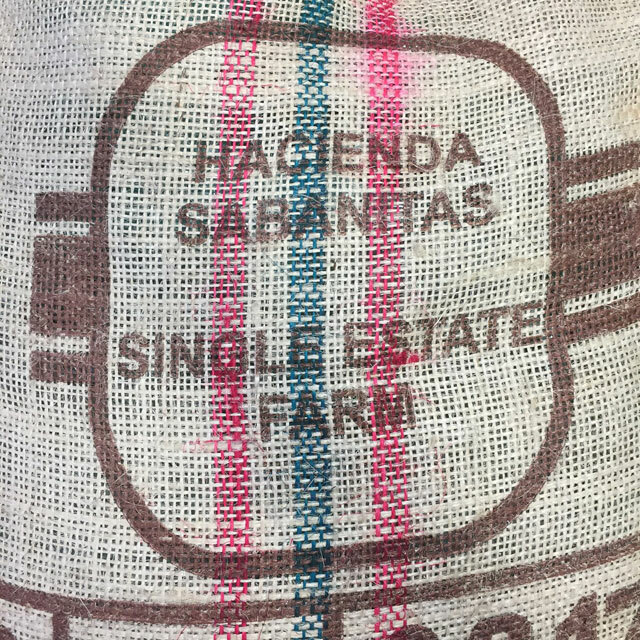 Our latest Hacienda Sajonia single origin coffee can be traced all the way back to a single farm in Nicaragua. 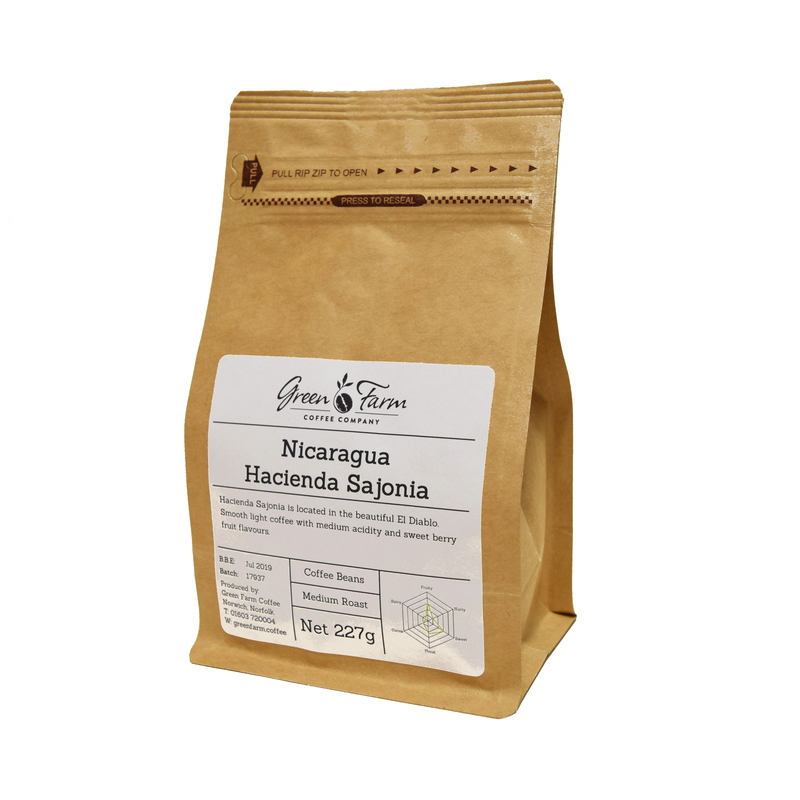 Hacienda Sajonia is located in the beautiful El Diablo and since 2010 the farm has been run by two English brothers Tom and Matthew Hills. 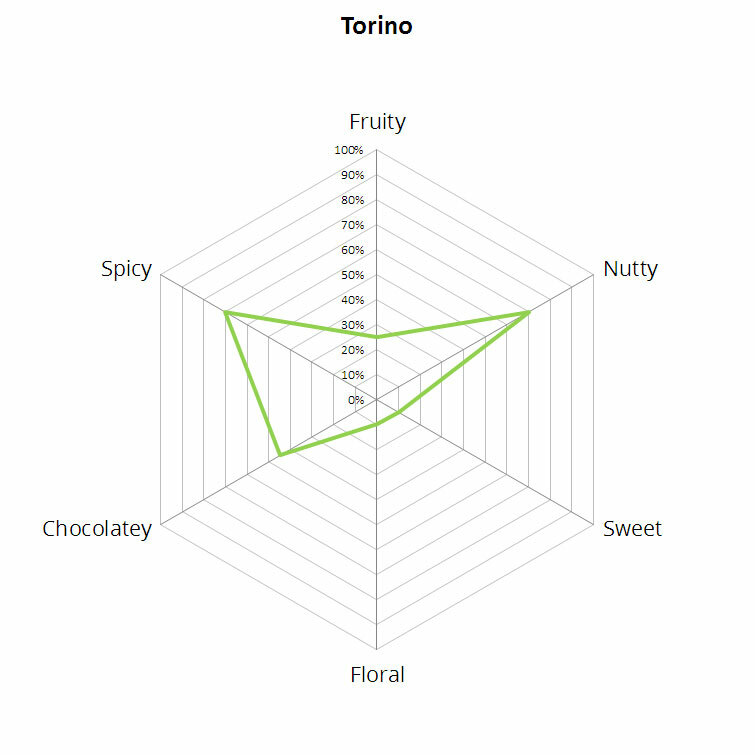 The brothers have embarked on a long-term plan to enhance the quality of the coffee by adopting modern agronomic practices. 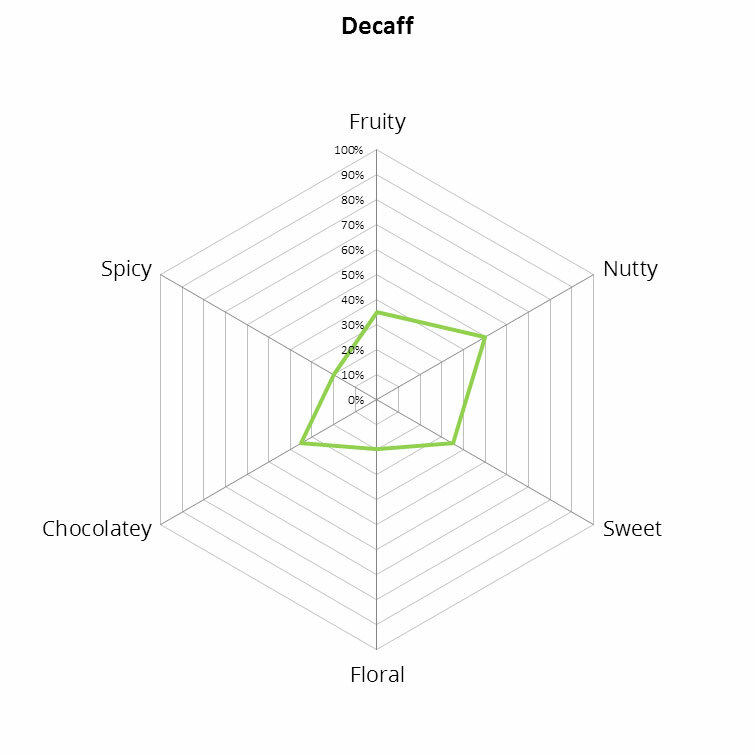 In the cup, the coffee is a smooth light coffee with medium acidity and sweet berry fruit flavours.